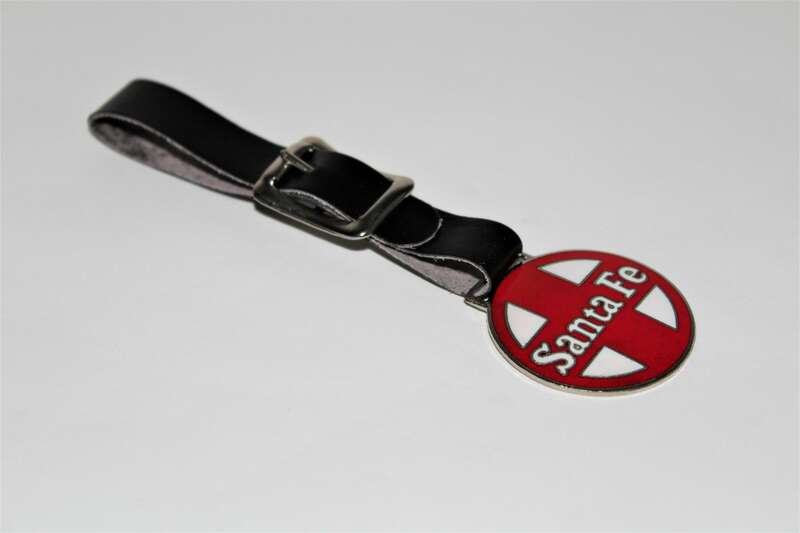 We have for sale a Vintage Santa Fe Railroad Luggage Tag / Baggage Tag. 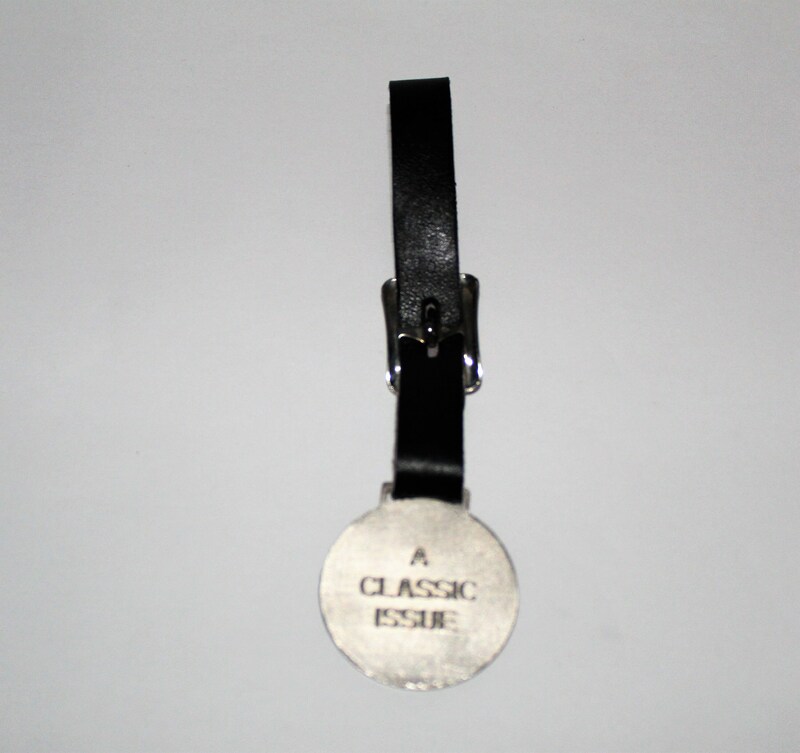 Wonderful piece of Railroad Memorabilia this Baggage Tag from days gone by. 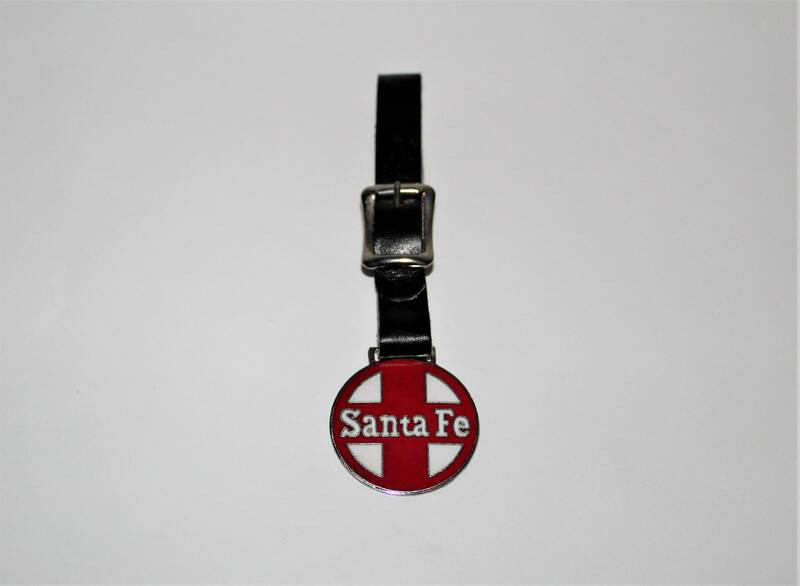 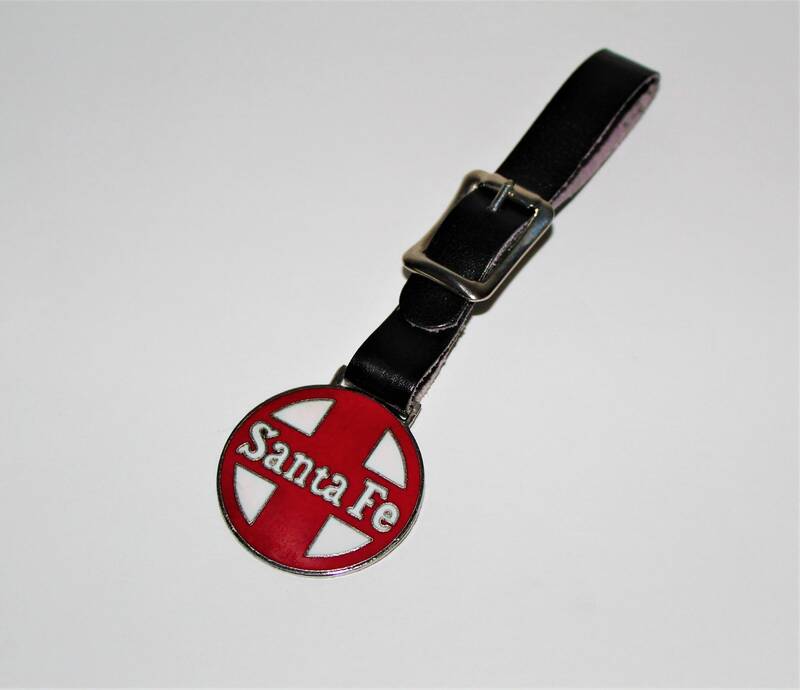 Metal tag reads Santa Fe on the front and A Classic Issue on the back side, strap is made of leather. 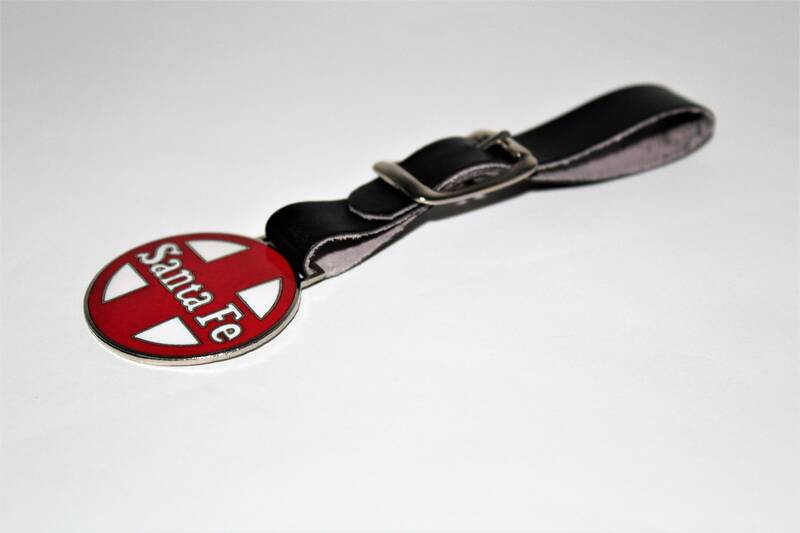 Very good condition most likely never used.